I recently met Concordia’s ultimate frisbee team in the dome on the Loyola campus during one of their practices, and ever since then I’m convinced that ultimate frisbee is the utopian sport of the future. Like in football, players score by passing and catching the disk in the endzone. It’s a no contact sport, and once you catch the disk, you have to stop running and try to pass it to the next person on your team. And while most sports look to a third party to referee the game, players in ultimate frisbee have no masters. They are self-governed—they call their own fouls, and only if they’re absolutely certain one has happened. While most sports pride themselves on being hyper-competitive, people who play ultimate frisbee usually play the game with a sense of humour. It all stems from ultimate frisbee’s history. The game started with casual throws in the park with a group of friends from Columbia High School in Maplewood, New Jersey, so having referees was out of the question. The first game was played in 1968 at the highschool, between the student council and the staff of the student newspaper. — Jared Kass, one of the inventors of ultimate, interviewed in 2003. Since then, the game has continued to run on self-officiation, even at the highest level of competition. Players here at Concordia value competition, especially when they play against other university teams during the fall tournament, but players of ultimate try to never let their pride override the joy of playing. Being aggressive is taboo, and players are encouraged to be generous in the way they compliment each other. To top it off, both teams rank opposing players in “spirit points” at the end of each tournament game. Through direct democracy, players judge whether the team they played against were impartial when calling fouls, if they avoided contact, and if they were playing a fair game. If a team scores poorly in their spirit points, they can even be asked to leave the league, though Heffez says it’s extremely uncommon any team steps into that territory. And since the game is a no contact sport, there’s no concussions—making the sport accessible and safer for people of all ages. With news over the summer that the International Olympic Committee gave official recognition to the World Flying Disc Federation, the sport is now one step closer to being played on the world stage. It’ll be hard for the game to compete with more established sports to get into the program, and we’re not there yet, but we should be. I’m convinced it’s the sport of the future, and as I always say, you either get with the future or go as it leaves you behind. Because Concordia’s Ultimate Frisbee team isn’t accredited, anyone can join. Most people join through word of mouth, and if you’re interested just hit them up on their Facebook page. They play against other universities weekly, and you can practice with them at the sports dome at the Loyola campus. 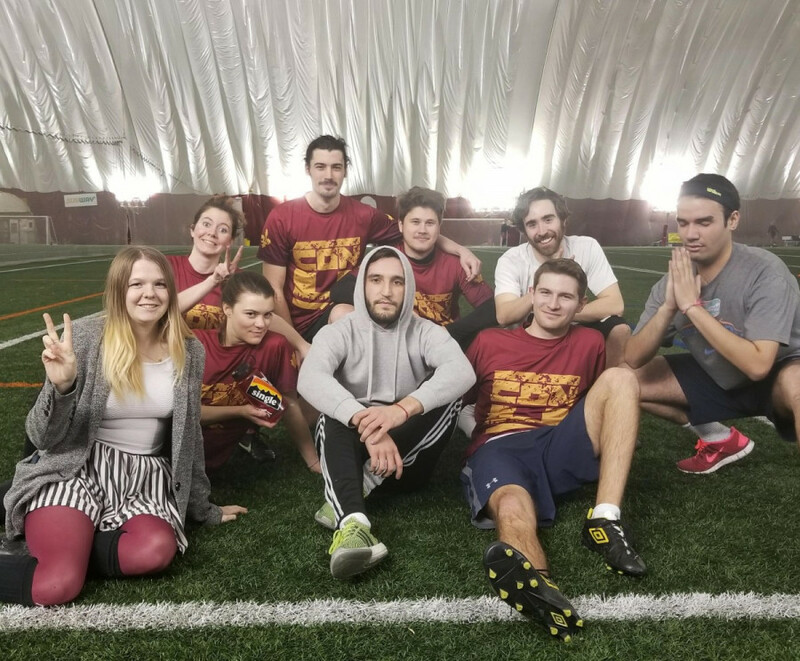 Last fall, their team wasn’t able to get to the regional Canadian University Ultimate Championship tournament because they were lacking players. Though the team often opts for co-ed games, their women’s team still wants to grow so it can enter into more competitions. That’s why they need YOU.